Today was the final day of the Middle Earth Summer Camp! What a fun experience. This was Art Day, which is very fitting for summer camp. However, rather than glue, glitter and paper, today’s activity was to create art outdoors, using plants, flowers, leaves, sticks or stones. I carefully considered what to do, and had several ideas. 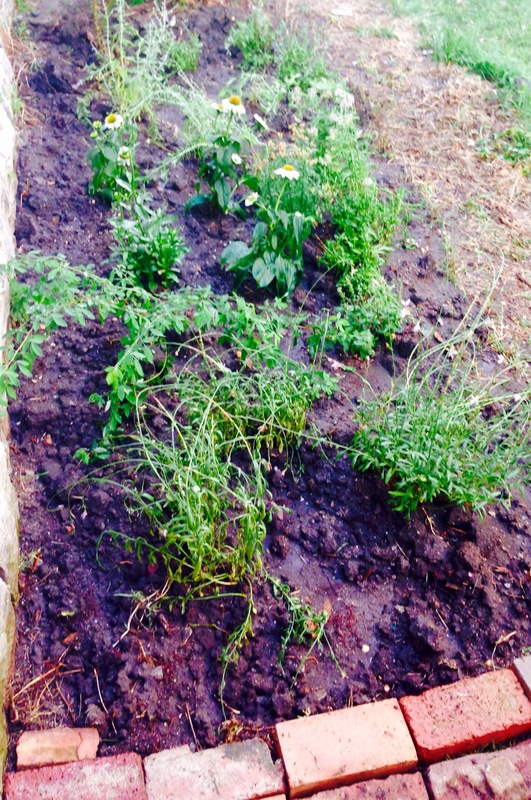 With my backyard garden I knew I had ample resources available. I love being outside, creating, even in this heat and humidity. I made my decision, and again, two ideas converged. Yesterday I completed preparation of the side flower borders, with help from Greg, and mulched the first section. This evening, the rest of my flowering plants went into the ground, creating a flower garden any Elf, or Hobbit, would approve of! For me, this was the perfect art project, making use of natural materials outdoors. 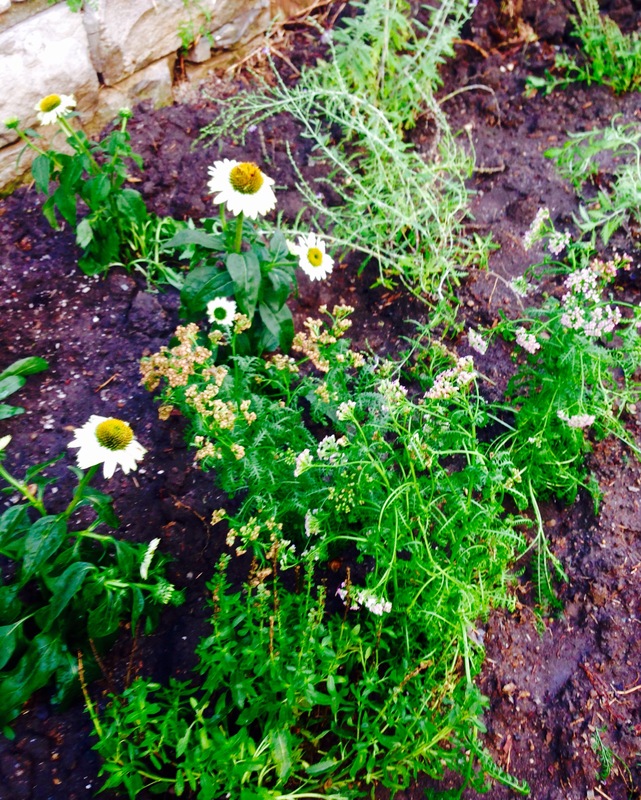 Into the ground went 20 plants, grouped by plant type and height: white cone flowers, Shasta daisies, meadow sage, Russian sage, purple salvia, pink fountain gauras, yarrow, a lespedeza and finally, a dwarf butterfly bush, tucked into a corner bed. Tomorrow I’ll mulch the newly planted sections and around the now tamed rose bushes. I am so pleased to complete this project, and what a great day to create outdoor art. 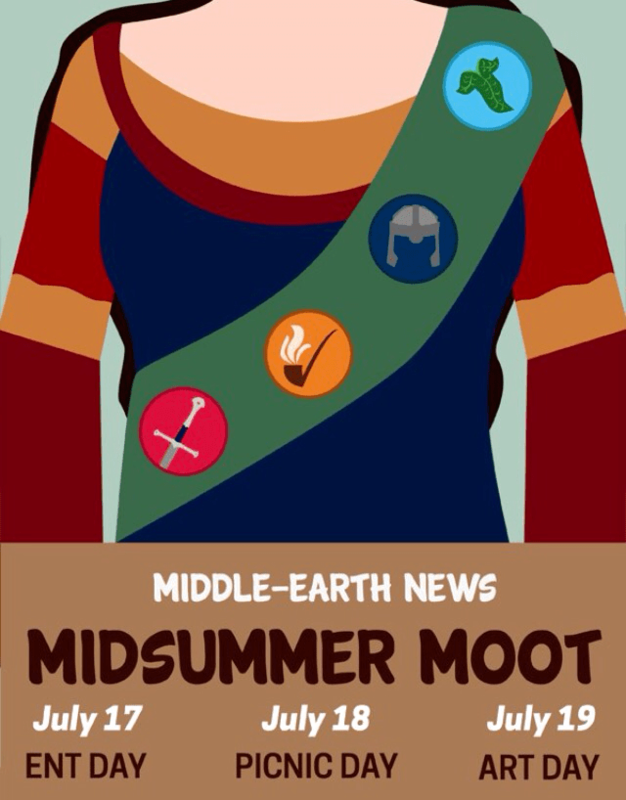 Thank you to Middle Earth News for a fun summer experience. I am always thrilled to accept an invitation to return to Middle Earth.